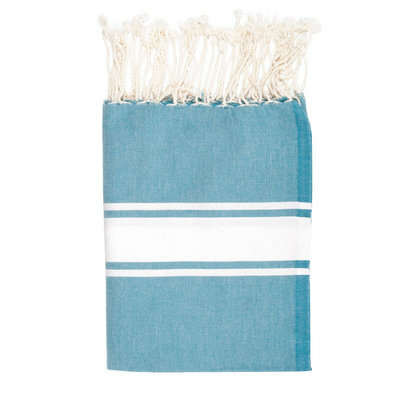 A fouta is a sort of towel that Tunisians use for a visit to the steam bath (hammam). 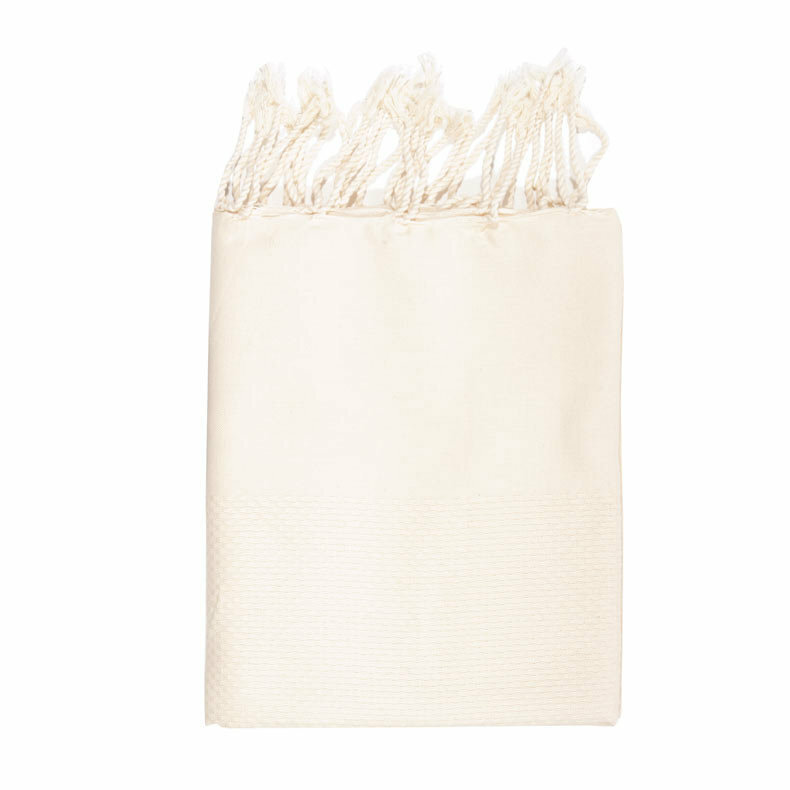 Therefore, it is a towel that can not only be used in any dry environment, but is also suited for damp ones. 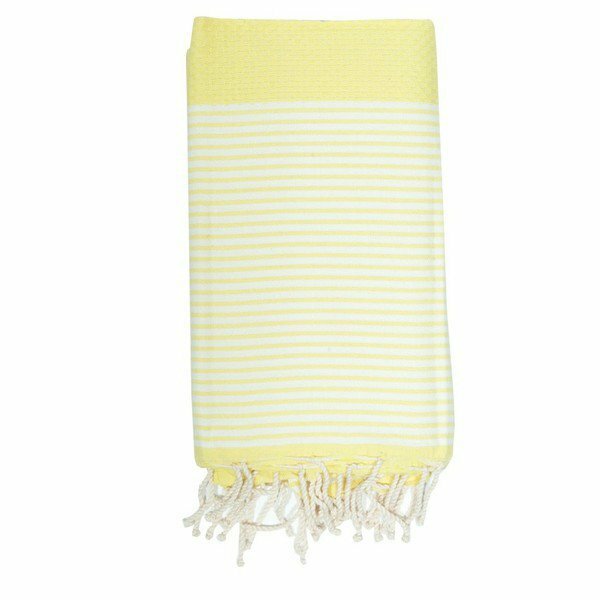 What makes a fouta special is its capacity to absorb well and to dry equally fast. In the bathroom: this is perhaps the best place to use it, as a replacement for or compliment to your terry cloth towels. 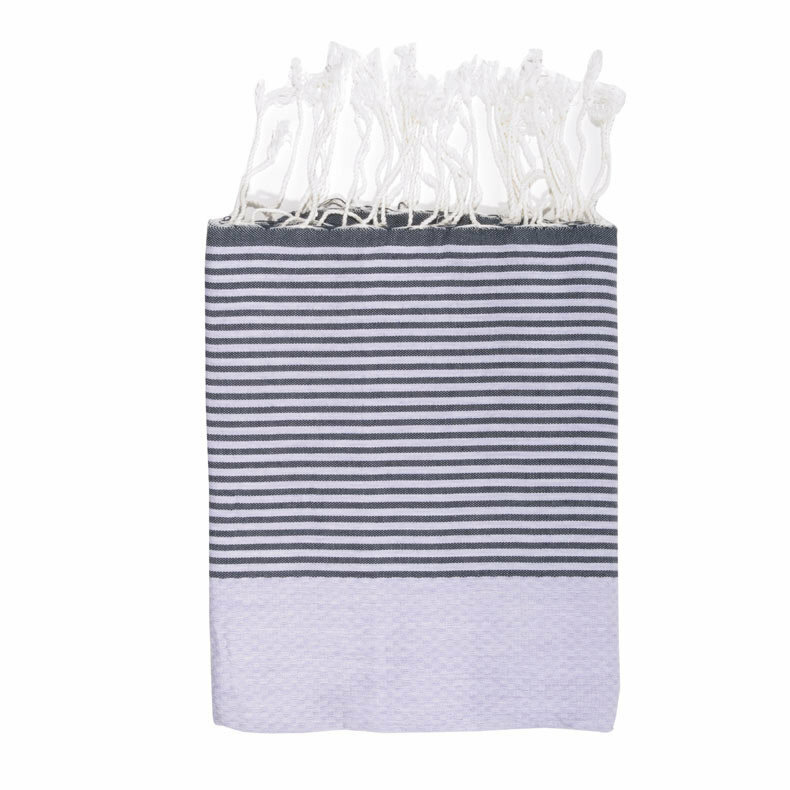 Drying yourself with a fouta after a bath or shower is a very different experience than using a regular towel. 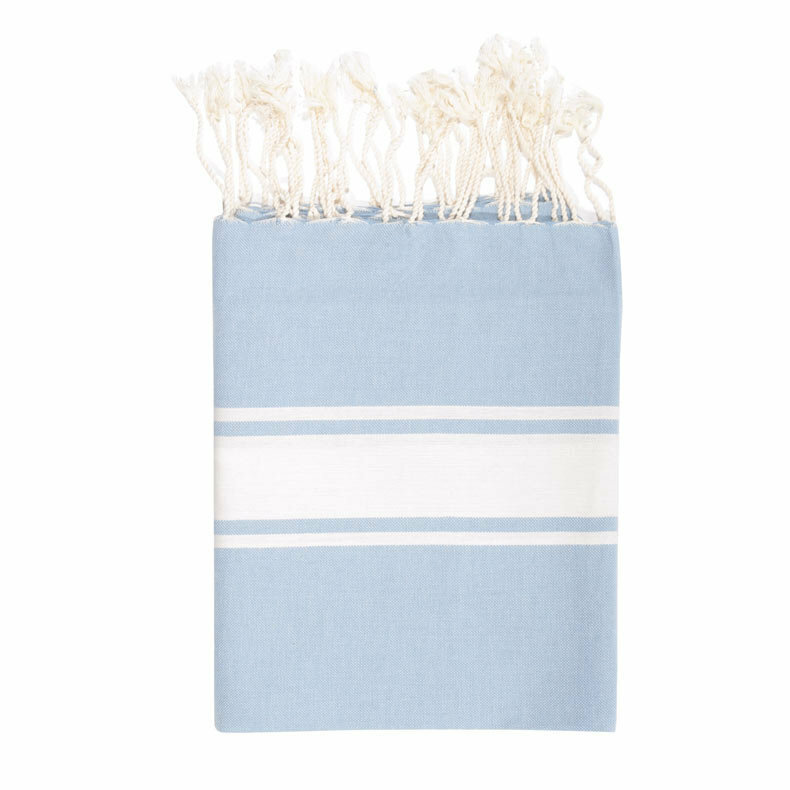 First of all, you will enjoy the sense of being wrapped up in a fouta. 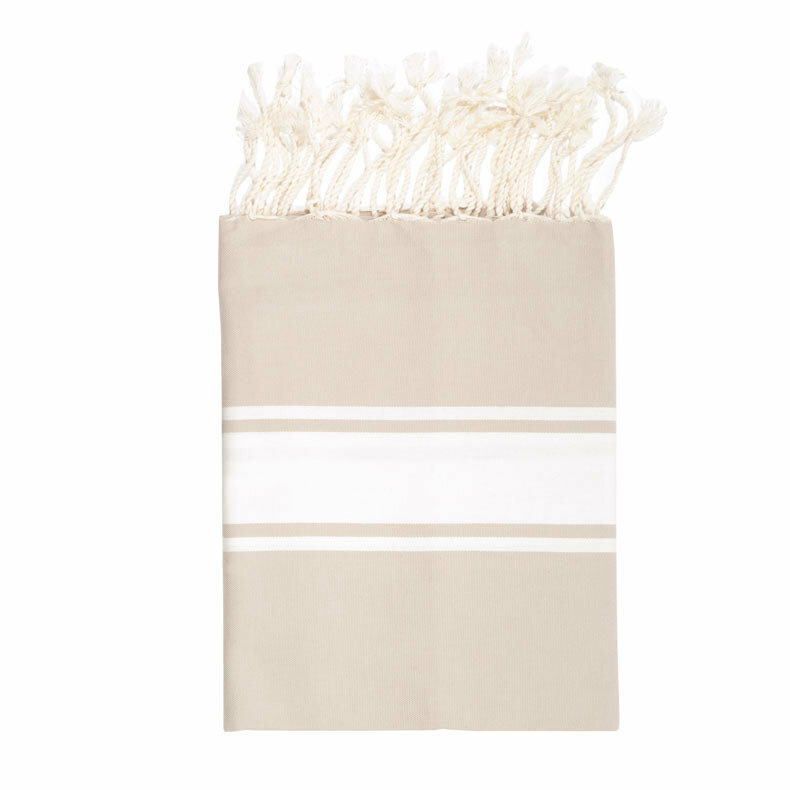 Lighter and larger than an ordinary towel, your fouta will envelop you and give you a sense of serenity. 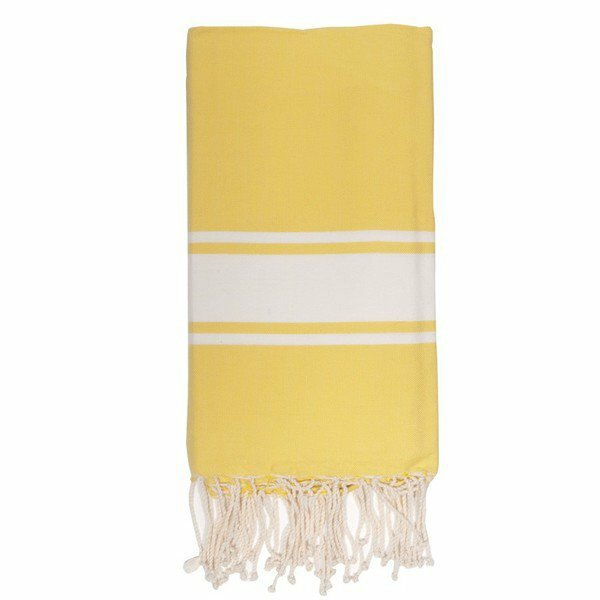 Among other things, the fouta is much more supple and silky than a thick towel and will perfectly conform to the shape of your body. Wrapped up in a fouta, you won't be bothered by drafts of cold air and you won't even need to wipe yourself down: the fouta instantly soaks up the water on your body. After, you will be surprised at how fast it dries—faster than your thick terry cloth towel. Furthermore, when you hang a few foutas in your bathroom you will see how easily they dress up the room. 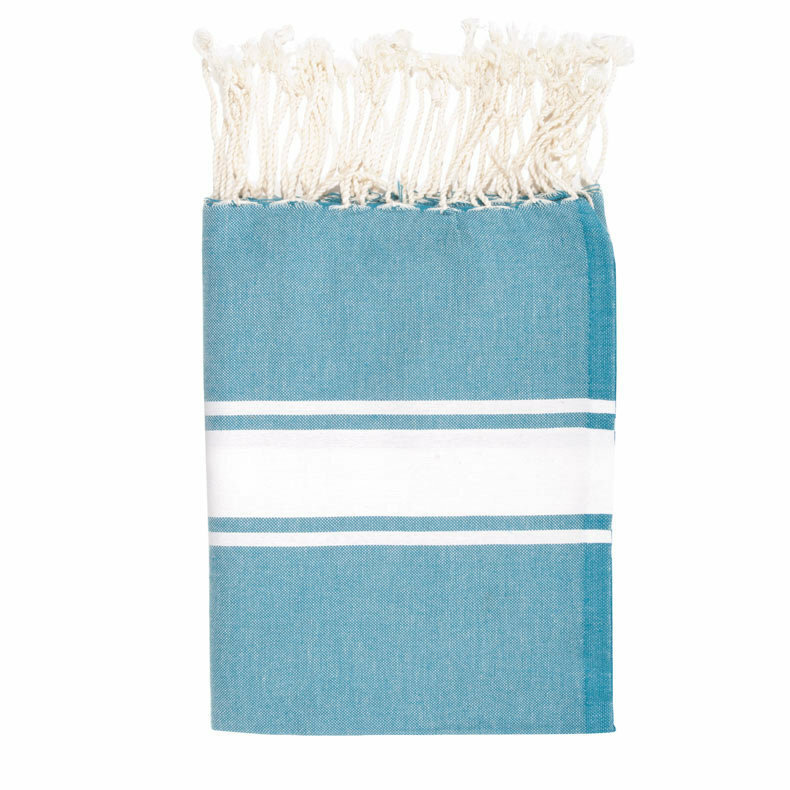 On the beach or by the pool: its capacity to absorb water make it a very good towel for the pool or on the beach. It also can be used as a pareo wrapped around your waist or hips, and what's more, it takes up little space in your bag—a real plus when you are carrying a huge bag with your entire family's gear. For achieving the perfect tan, we suggest that you also use the kikoi, which has a thin terry cloth lining, yet still takes up little space. 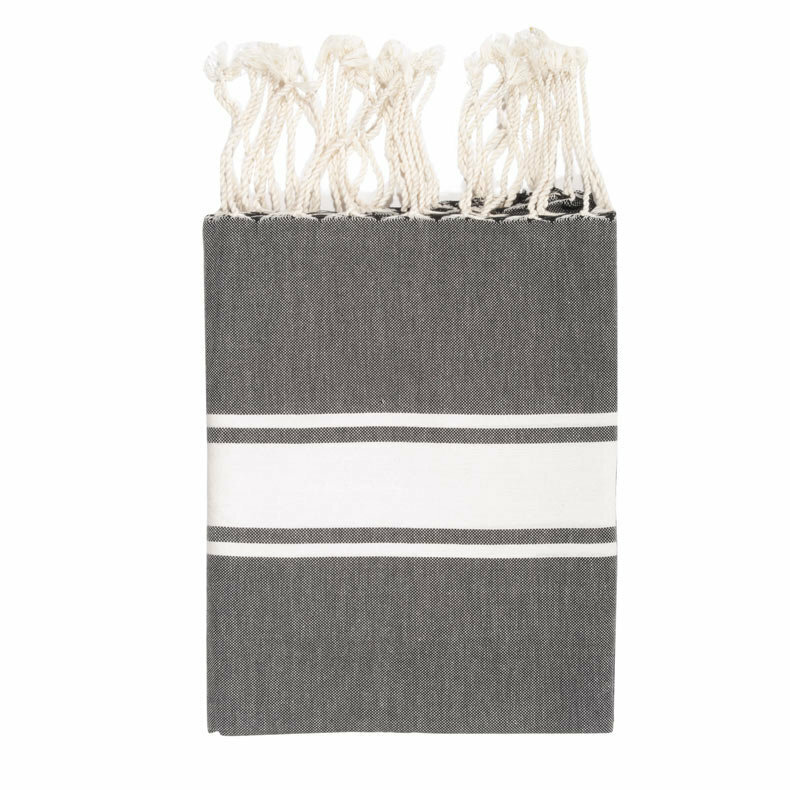 For the steam room and sauna: without at doubt, a fouta is a must! Our current selection. Consider mixing colors, they blend beautifully. LaPaDD hesitated for a long time before adding foutas to its store, since there are already so many on offer all over the web and in stores. 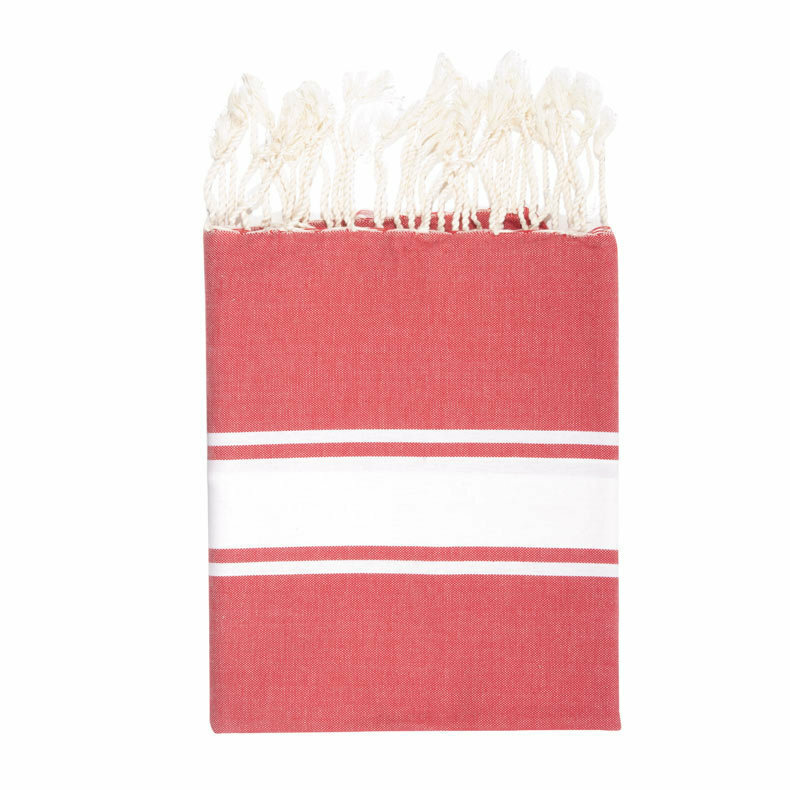 Under pressure from fouta fan friends, we finally decided to go ahead and give them a try. A very positive experience, as after we tested them ourselves, we approved them and decided to offer them on our site. Foutas are still made by artisans. It is said that the weavers are generally men, since the semi-automatic looms require a lot of strength to use. Women take care of the finishing touches, the fringes, quality control, folding, and packaging. This artisanal quality gives them authenticity and a unique character. The many foutas made are not necessarily identical. The dimensions in a series may change by a few centimeters, the weight changes according to what kind of cord or cable is used to separate the warp and the weft on the loom. The color changes with the seasons, according to the composition of the dyers' vats and the white bands are not always exactly the same distance from the edge. 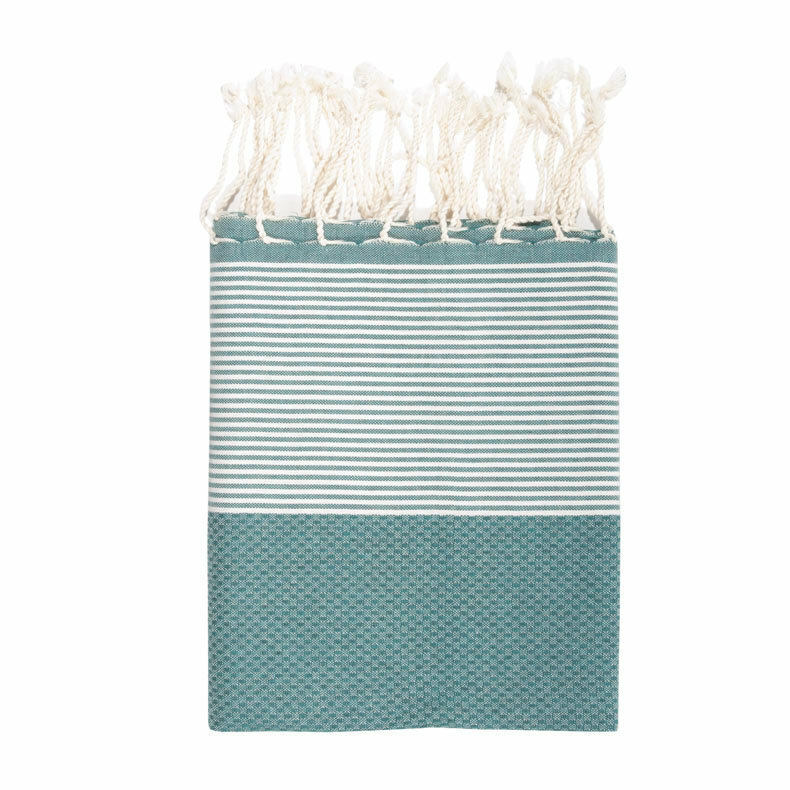 LaPaDD's fouta is essentially a seasonal product. What you might buy today, you might not find a few months from now. That said, we do our best to offer you a terrific choice of colors. 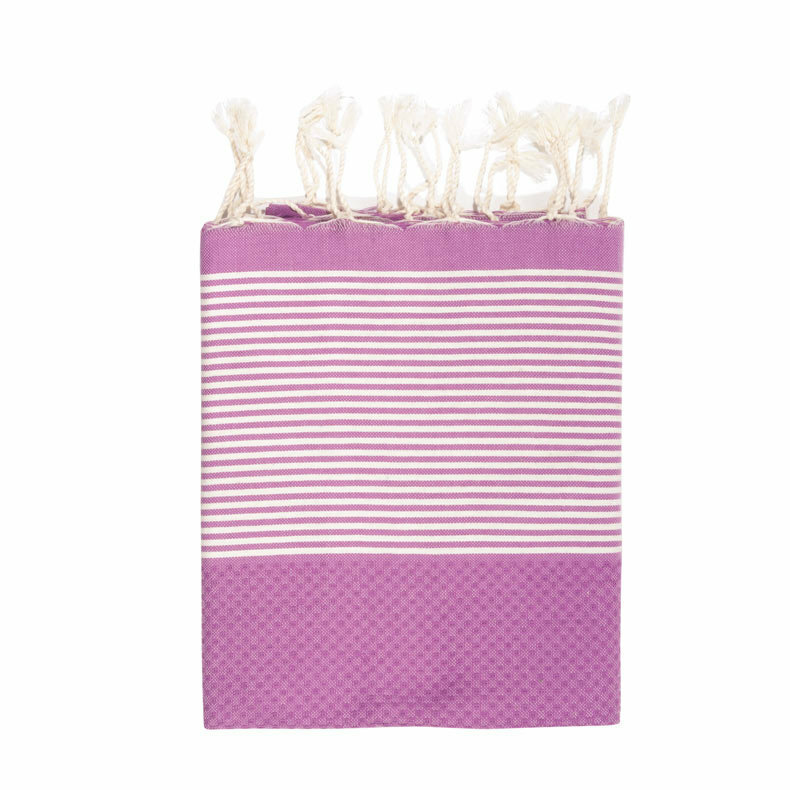 Your fouta might seem a little stiff when you receive it. We recommend that you wash it before using it so it will be as soft and delightful as it should be. nice price: considering the many visual and tactile pleasures that your fouta will bring you, 16€ is a terrific deal. versatile: in the final analysis, a fouta is basically an extraordinary piece of material that you can use any way you like. easy maintenance: washes perfectly in the machine, can be dried in the dryer. If you fold it well, you won't need to iron it, even if you don't have a dryer.